For thousands of years, people have engaged in ritualistic marking of the skin to identify themselves as a member of a tribe, of a lineage, of a mindset, or of a subculture. The ancient art of tattooing is a tradition we carry on to this day. 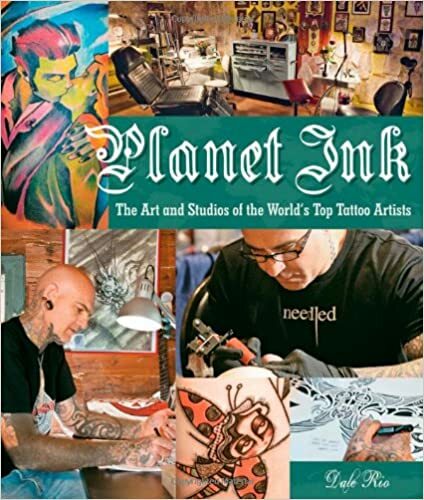 While the past 10 years have seen no shortage of books about tattoos and tattooing, most are best described as вЂњidea books.вЂќ Until now, none have profiled the worldвЂ™s most renowned artists across a variety of styles. This book explores this most basic form of self-expression by showcasing the studios and work of 18 of the worldвЂ™s top tattoo artists, including SuluвЂ™ape Angela (San Diego), Aaron Bell (Seattle), Bugs (Los Angeles), Mo Cappoletta (London), Madame Chan (Brussels), Daniel DiMattia (Liege), Durga (Jakarta), Gakkin (Kyoto), Horiryu (Costa Mesa), Henning Jorgensen (Copenhagen), Rory Keating (San Diego), Brent McCowan (Carinthia), Maneko (Brasilia), Keone Nunes (Oahu), Noon (New York/London/Berlin), Sua SuluвЂ™ape Petelo (Sydney), Te Rangitu (Waipapa), andВ Simon & Eddie (Hartama). Each chapter profiles the artist in the context of where he or she fits into the overall tradition of tattooing, while the photos showcase not only the art but also the artists and their workspaces.